March 11 Celebration of the Life of Peter Boname, 11 a.m.
A big thank you to everyone who volunteered and attended the annual Shrove Tuesday Pancake Supper! We had a great turnout of hungry pancake eaters and wonderful, cheerful volunteers! We also raised money to donate to Trinity’s mission projects and we collected items for Share’s food pantry. During the month of March, Church & Society will be collecting toiletries for Martha’s Table: travel-sized shampoo, conditioner, body lotion and soaps. If you’re traveling, pick up those hotel toiletries! Please place all donations in the bins located in the Narthex stairwells or in the collection bins in the Fellowship Lobby. Martha’s Table is a fantastic organization that provides help to homeless and underprivileged people in Washington, DC, by providing access to food, education, and opportunities. To find out more about Martha’s Table, check out their website. Each month our church provides 1,500 bologna and cheese sandwiches to Martha’s Table to help feed the hungry. If you would like to volunteer to pick up bread or deliver the sandwiches, please contact Barb Long or visit http://bit.ly/MTVol. A big box of 60 handmade cotton dresses was shipped to Uganda last month, thanks to the work of Crafts for a Cause. We’re happy to support the organization Dress a Girl Around the World, which sends handmade dresses for toddlers to teens in 81 countries. 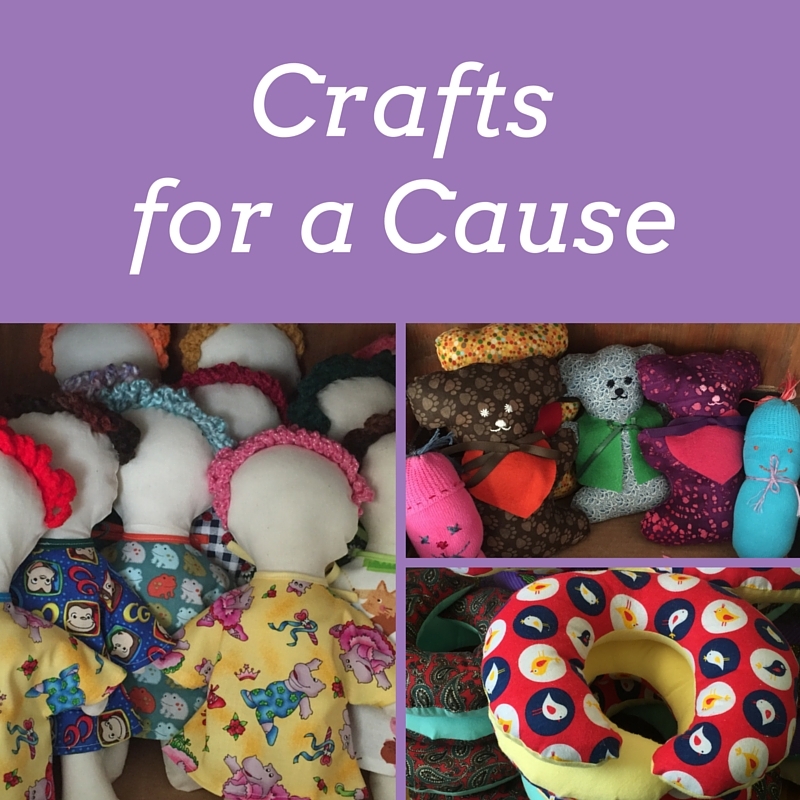 In addition to the dresses, the crafts group has been making fleece hats and blankets for the Carpenter’s Shelter in Alexandria, along with the pillows, dolls, bears and blankets we make to provide comfort for patients at Fair Oaks Hospital. You can be a part of this fun ministry by attending one of our work sessions this month: Mon., March 6, and Mon., March 20, from 7 to 8:30 p.m. in Room 124. You don’t have to be crafty to participate, everyone’s welcome! On Easter Sunday, April 16, Trinity’s Sanctuary will be decorated with lilies and tulips, given in honor or memory of loved ones. Please fill out this form and drop it in the offering plate or mail it to the church office at 1205 Dolley Madison Blvd., McLean, VA 22101. All memorials/honors will be noted in the Easter Sunday bulletin. If you order flowers, you’re encouraged to take them home after the service. If you do not wish to take flowers home, you may make a donation only and have a dedication listed in the bulletin. 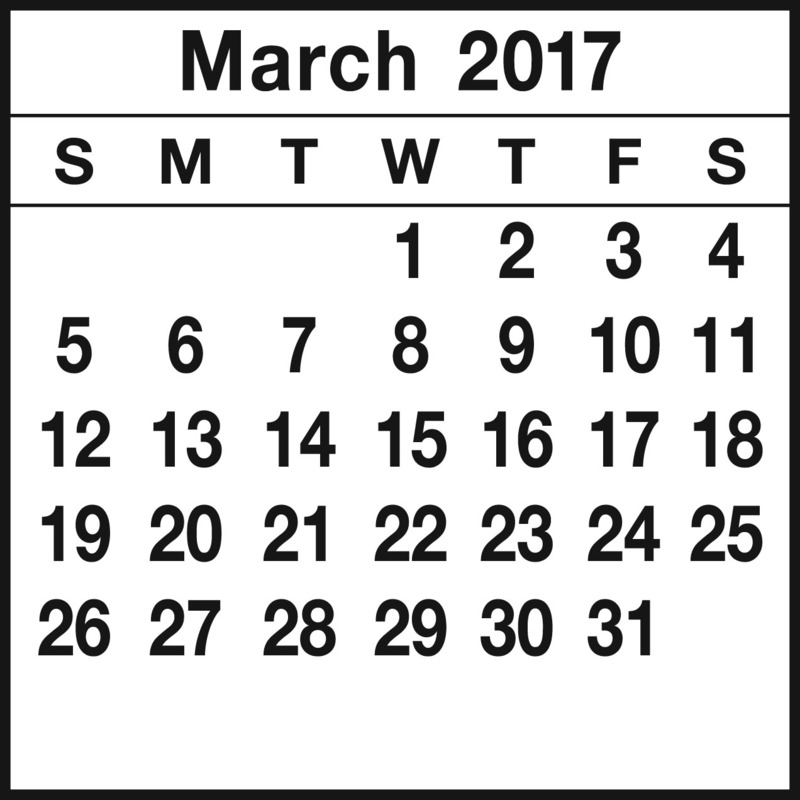 Deadline is Sunday, March 19, 2017! We will talk about our worship needs and distractions. You and I are part of the first generation of North Americans to live in a society that no longer appreciates the presence of Christianity. Many are hostile toward the church. The early church shared the gospel of Jesus in a religiously plural, but hostile world. The 21st century has brought Christianity full circle. Early Christians came together to celebrate their life together with God through prayer, table fellowship, and teaching about the Way. They also went out from the Temple and into the streets to be witnesses to the life, death and resurrection of Jesus. Their message asked persons to embrace the Way of life and the rule of God in their hearts but it was not about joining a particular church. They established small groups that met in homes for nurture and fellowship. It was through these small groups that a larger sense of community developed. Finally, they experienced persecution and arrest from religious authorities and non religious people because the Way they chose affected the economic practices of society and challenged established religious traditions. Based on these essential concerns of the early church and what is becoming obvious to us by now of the emerging world, we can conclude a few ideas about the church in the 21st century. 1. Our primary mission will be to establish Christian communities in the midst of a hostile and violent world. 2. The mission of these communities will be to proclaim the rule of God to all people. 3. Existing and emerging Christian communities will need to nurture this new life in the Way and to bring new life to others. 4. Our mission’s dominant theme will be the Way of life prefigured in the life and ministry of Jesus. 5. The life of prayer will be necessary to keep our Christian communities focused on our mission as witnesses to the Way. 6. All church and community leadership will be based on faithful service to the Way of Christ. 7. And finally, I believe that all Christian communities in the 21st century will need to be able to stand on our own … to self-sustain. The excellent leadership of Trinity Church believes that, based on the life of the early church, the only way to move forward together in our time is for our congregation to turn outward to the world. All our worship, ministries, missions, and building use need to shout to the entire world that Jesus is the Way without being judgmental or forming value judgments on the worth of others with regard to their religious beliefs, or their nationality. Our mission involves not losing our passion for social justice and the demand Christ makes on us to feed the hungry, clothe the naked, forgive sins, and love the enemy. To move forward together as followers of the Way of Christ all our missions and ministries must be willing to exist for the sole purpose of bringing this new life to others who are not yet experiencing it. We must be willing to invest our time, our talents, our treasures, and our very lives in order to turn society upside down so that, from time to time, those who are usually last can be first at the table of the world’s bounty. You and I need to discover as we move forward together the courage needed for embracing and offering this new life in Jesus as the Way. We are fellow pilgrims along the Way that leads us more fully and deeply into the wonder of God’s love and presence in the world. Giving Up or Giving More for Lent? We are well into the Lenten season. These forty days (minus Sundays) that lead up to Easter are to prepare our hearts and minds for the magnitude of the Messiah. Easter is what makes Christians, well, Christians. We will celebrate this Jesus who lived and taught, died and rose. And, it is what transpired in those three decades from birth to resurrection and beyond that is so astounding. Even those close friends who would carry on his teachings didn’t fully grasp it all right away. What are we, as 2017 followers of The Way, to do this Lent? Maybe you grew up understanding that Lent was a time to give something up. It’s a somber season of self-denial. We must suffer in our own little way, just as Jesus had to suffer in a much greater way. That’s what many of us were taught. Is that really what God wants from us? I absolutely believe that Lent serves as a great opportunity for reflection. But, does giving up chocolate or television lead us closer to God? Maybe. I prefer to think doing more, not less, can help us grow in that understanding of God’s grace and overwhelming, loving sacrifice. Here’s what I mean: Consider making this Lenten season about truly serving others. Write a note to someone who could use a kind word. Don’t check email for an entire Saturday, and instead spend time with someone who needs your undivided attention. Look someone in the eye as you pass by on the street and say hello. Find something each day that takes you out of your comfort zone and puts you squarely in the midst of God’s mercy to get through it. Go to God in prayer … and then listen. I look forward to worshipping with you. Please know, you are always in my prayers. Posted on February 28, 2017 Categories Church & Society, Missions, Pastors' Articles, WorshipLeave a comment on Giving Up or Giving More for Lent? After the last youth ski trip, one of the parishioners asked how it went. I replied, “since no one was hurt, it was a great success.” I added for next year, we might just do a day trip to a local ski resort. I explained we only ski a day and a half, and it does not seem to be worth all the work to plan and organize. Sometimes the number of participants do not meet our expectations. And besides, we get just about the same time of skiing without all that fuss if we went to a local resort an hour and a half away.” In response, she said, “Keith it’s not about skiing. It’s really about all the relationships that form through it.” Why did she have to say that?! So we’ll go again next year because at the end of the day, ministry is about relationships. How can we get closer to God (or how do we realize that God is with us all the time)? Or, how can we engage in fellowship? (the most overused and perhaps the most watered down theological term in all of Christianity. But it’s still important because it’s about relationships.) And how can we take these relationships to become a vital church so that we can be agents of transformation in the world? These are the questions that I ask myself all the time because ministry … or life, for that matter, is really about relationships. This year we tweaked the format for youth ministry. On the first Sunday of the month, David Case will teach self-defense moves to give us more opportunities to be active and safe. On the second Sunday, my friend Ezra will come to lead us in praise and worship. On the third Sundays Catherine Wethington, Jenn Robeson, and Nila Curry will shepherd the young ladies of our youth group. For the fourth Sunday, Andy Gilmer, Jake Wilbur and I will lead the young men for a night of relevant discussion. The aim is to form relationships and strengthen them in Christ. Please keep us in your thoughts and prayers as we will keep adjusting and experimenting to improve our youth ministry so that it helps them to form godly relationships with mentors and each other. In March the Children’s Choir and Youth Choir are both working on songs about peace. Music has an uncanny ability to express our hopes and emotions through metaphor and can often pinpoint to the depths of our desires more than just words. Music can literally get to the heart of the matter. The Children are working on two pieces, Sanctuary and I’ve Got Peace Like a River and the Youth Choir is working on Al Shlosha. The children learned that a Sanctuary can be more than a room in a church, but is the place where people come together in the presence of God and that they can be a Sanctuary for God. The translation of Al Shlosha is, “The world is sustained by three things, by truth, by justice, and by peace.” In a world climate such as ours it is important that our children know that they can be instruments of God’s love and peace in their communities and these three songs allow them to express that ability. On March 18, I’ll be attending a church music workshop given by Dr. Anthony Leach, Professor of Music at Penn State. It will focus on the history, significance and presentation of African American spirituals, while suggesting contemporary choral settings suitable for groups like our Chancel Choir. Trinity’s Chancel Choir will present a new anthem in March—Elaine Hagenberg’s stunning O Love (http://www.elainehagenberg.com/olove.html)—as well as simple settings of Psalm 51 by William Rowan and Christopher Willcock, Marie Pooler’s penitential Wondrous Love, and JS Bach’s ever-popular Jesu, Joy of Our Desiring. The Trinity Ringers’ Lenten offering will be Ron Mallory’s dramatic How Hast Thou Offended, based on the hymns GETHSEMANE and HERZLIEBSTER JESU (#290 and #289 in our Hymnal). If you’ve ever thought of joining one of Trinity’s adult choirs, now is a great time to sit in on a rehearsal and see what we’re planning for Easter! Rehearsals are Thursday nights at 6:30 p.m. for the Trinity Ringers and 7:30 p.m. for the Chancel Choir. During the months of March and April, our church will come together and focus our efforts on the importance of Stewardship. Our theme is: Service: To Our Church, To Our Community. As a church family, each week we will explore the many opportunities we can serve our church and our community through the giving our time, talents and treasures. On Commitment Sunday, April 23, our church family will celebrate our commitment to Stewardship and the giving of our financial gifts and service to Trinity during both worship services. You will receive a commitment Card in the mail in the coming weeks, and we hope you will join us in pledging you time and gifts to Trinity to ensure our church is able to meet the needs of our members, youth, ministries, mission and community. During each service, an opportunity will be provided for you and your family to place your commitment card at the front of the Sanctuary. A commitment celebration reception will follow the 10:30 a.m. service. Through your prayers and commitment our Stewardship Campaign will enable Trinity to thrive in its ministries and service to our community. If you have any question, please don’t hesitate to reach out to me (617-943-8032) or Jim Sprouse (703-356-3312). May the peace of the Lord be with you in all you do. March 1: Ash Wednesday 12 p.m. and 7:30 p.m.
You can read more about Ash Wednesday on the United Methodist Church website at http://www.umc.org/what-we-believe/why-ashes-on-ash-Wednesday. Another article on the website gives reasons for the use of ashes in Methodist worship: http://www.umc.org/what-we-believe/when-did-united-methodists-start-the-imposition-of-ashes-on-ash-Wednesday. April 9: Palm/Passion Sunday 8:30 a.m. and 10:30 a.m.
Palm/Passion Sunday marks the beginning of Holy Week. The service begins with Jesus’ triumphant entry into Jerusalem. We wave palms as Jesus passes by and heads into the city to celebrate the Passover with his disciples. You can read more in Matthew 21:1-11, 26:14-27:66. 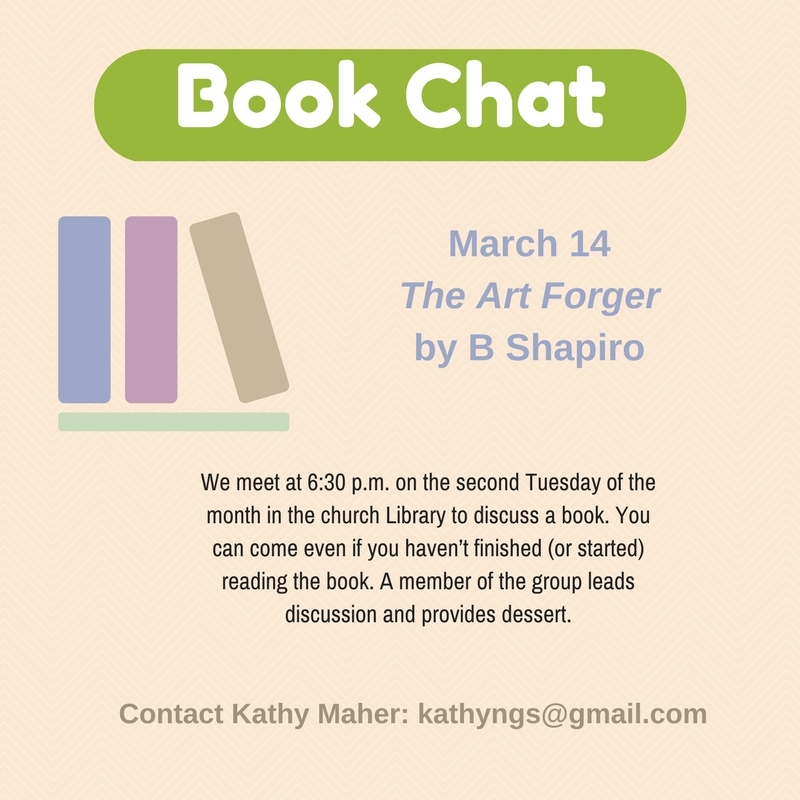 April 13: Maundy Thursday 7:30 p.m. The Maundy Thursday service observes Jesus at the Last Supper. There he celebrated the Passover with his disciples. Upon his arrival, he humbly washes the feet of each man present. Then, they break bread together and Jesus teaches them a new commandment—to love one another as he has shown them. Although this service is about the night Jesus gave us the words and actions that we now know as Communion, the scripture for the service focuses on the love commandment and humility of Jesus as found in John 13:1-17, 31-35. In some ways this may be the most spiritually significant service of Holy Week. April 14: Good Friday 7:30 p.m.
Good Friday is the name of the day that comes from a distorted form of “God’s Friday.” Jesus is now in the Garden of Gethsemene with his disciples. He’s still trying to help them understand what is about to happen, but they still don’t fully understand. Jesus grows frustrated with his friends when they fall asleep while he’s praying. Eventually, Judas runs off and brings back the guards. Jesus is arrested and taken to Pontius Pilate for a trial. The sentence is passed and Jesus is crucified with the common criminals. Our scripture for the service will focus on some of Jesus’ last words in John 18:1-19:42. The gospel is experienced through readings, prayers and songs. There are no paraments or anything else in the worship space. April 16: Easter Sunday Sunrise 6:30 a.m., 8:30 a.m. and 10:30 a.m.
Holy Week draws on many emotions with the disciples’ confusion on Maundy Thursday, Jesus’ brutal death on Good Friday and finally, Jesus’ resurrection from the dead. Early Sunday morning, Mary Magdalene goes to the tomb where Jesus has been laid to await burial. She arrives ready to prepare the body, but finds he is not there. Jesus has been riased and shows himself to her. She runs and tells the disciples. In John 20:1-18 we read about one woman at the tomb—Mary Magdalene, but in Luke’s account there are several women named in the first twelve verses of the twenty-fourth chapter. Easter morning worship is filled with Hallelujahs and rejoicing as we celebrate our risen Lord.